orders for this beautifully reproduced, limited edition, hardcover book. 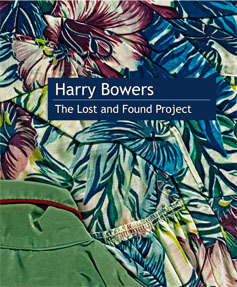 The book: Harry Bowers "Lost and Found Project" comprises of 110 color images with text,128 pages in all. All of the images in this book can be seen on our web site: Lost and Found press clothing series 1978-1980 . Choisissez le portefolio que vous souhaitez voir.